Nothing quite beats the awesome display that mother nature puts on when a volcano erupts, but unfortunately there's no really safe viewing platform! 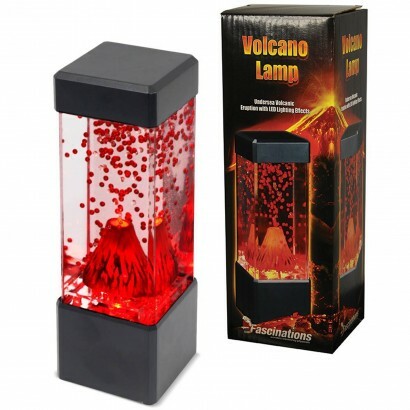 The Mini Volcano Lamp recreates the awesome effects, just in miniature...inside a tank, giving you all the pleasure without the threat of death from toxic gases. The mini volcano sits in the base of the lamp and emits air causing the surrounding baubles to lift and swirl as if erupting from the cone of the volcano, add the red LED's that shine from the base and you have one pretty impressive mod light! 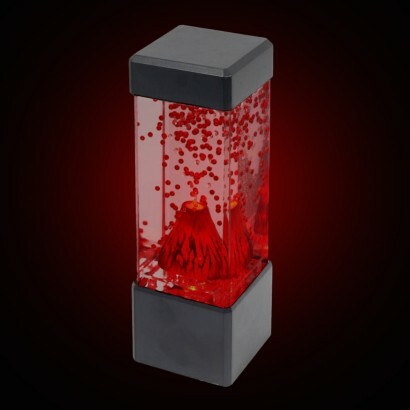 Battery operated, place your mini volcano on your desk, in your bedroom, your living room or anywhere that you require a little visual stimulation.